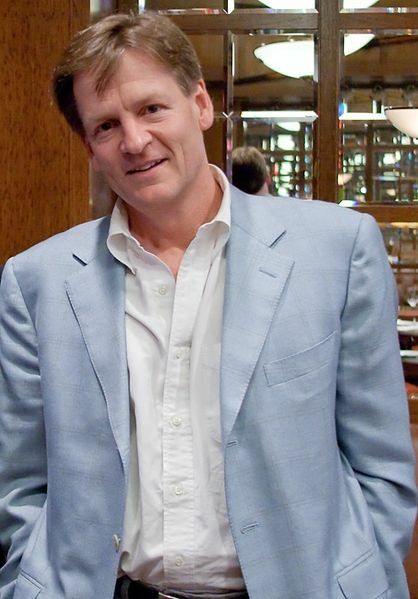 Michael Lewis, journalist and author of several best-selling books, including Moneyball, his 2003 tome that revealed how a small market baseball team could compete with the big teams by using empirical statistical data from baseball to predict future player performance. Billy Beane is a former Major League Baseball player and the current general manager and minority owner of the Oakland Athletics. He was the first major league manager to put "sabermetrics" into practice. 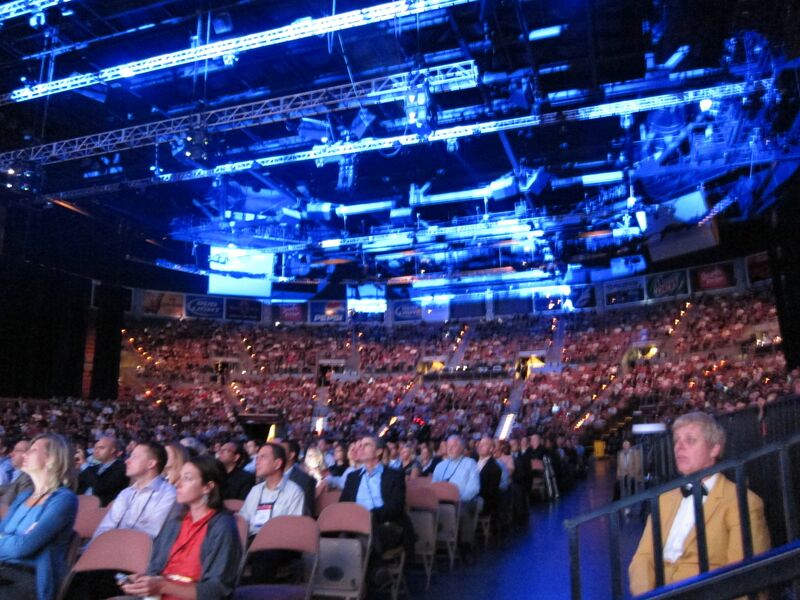 At the recent IBM Information on Demand 2011 event in Las Vegas, Nevada, one of the key themes of the event was the idea of putting business analytics into practice to help improve business outcomes. No one was better prepared to address this topic than Michael Lewis, author of best-selling books Moneyball, The Big Short, Boomerang, and others, or Billy Beane, general manager of the Oakland A’s baseball team and the first major league manager to utilize “sabermetrics,” or statistical historical data about baseball player performance, to take a smaller market team with less money to spend on players to the post-season several years in a row. I sat down with the two of them backstage at the Mandalay Bay Events Center just prior to their keynote presentation for several thousand IOD attendees, and following is the result of that interview. Michael Lewis: It was really simple. I was living in Billy’s [Beane] backyard in Berkeley so I was paying attention to the A’s. I didn’t know…I wasn’t a baseball fanatic, but I did know there was this payroll issue and I got interested in that. I got interested in that in the first place, because at first I thought I was going to write a piece about the A’s. I think it was when Jose Canseco got this giant deal, and he was being paid something like $8 million, and the right fielder and left fielder was being paid something like $150,000, and I wanted to know if the outfielders were pissed! And, how they felt when those Jose Canseco dropped a fly ball. (Laughter) And I was going to come out and write about that, and then I started thinking about it, and I realized there were these huge discrepancies from team to team. And then I wondered, so how does the whole team feel about being poor??? Michael Lewis: But I didn’t do anything about it. And then the As had a sensational year in 2001. They were clearly the force in baseball, although they didn’t win the World Series, and I thought this is really weird, they’re playing against four times the sum of money and they are as good or better. How does that happen? And I knew someone who knew Billy, who set me up to go see him. I thought I was just going to write this little magazine piece, maybe. And when I went to go see him, the answer was so interesting, I just kept listening for a couple of months. Billy Beane: And I just kept talking. Todd Watson: Okay. And Billy, I’m curious for you… I’ve seen the movie and I’ve read the book and I understand what happens in Hollywood movies, but I’m curious was there some kind of cultural aversion at first, a resistance amongst your staff, to move in this direction? Billy Beane: Yeah, I mean even in my own upbringing through the business it was somewhat traditional as well. Until I worked under a guy named Sandy Alderson who never played the game, who was a Harvard law graduate, and who was a former Marine who taught himself the game through books. So that was my first exposure. So I sort of straddle both sides, which was a benefit to some extent. So yes, there was certainly some resistance internally, but anytime there is mathematics involved there’s going to be a certain amount of resistance. I think 99% of us have some resistance because going back to seventh grade, and when are we going to use this [math], and now you’re seeing somebody use it! But from our standpoint, it was really out of necessity, and, we had a blank canvas. We had a fertile place to do it because we really didn’t have the pressures of a Boston or New York, and if we failed, we were probably going to finish wherever we were, anyway. So for us it was no risk, high reward. And the other thing was, we had spent a number of years previously looking at this, and there was more evidence…The great thing about math is there something logical to it, so once we had faith in it among a small group of us, we did really feel like we weren’t taking a risk. You know, it didn’t seem risky to us. That’s what everyone asks all the time, and quite frankly, we were wondering why doesn’t anybody else get this?! Todd Watson: So once the book got out the secret was out. How did you stay competitive then? Billy Beane: Well, you know there was some momentum going on, and there was this other line of young executives who were taking a similar way to Sandy, and who read outside sources for information and looked at it in a rational way. So, now you’re starting to get a movement…if there’s anything I think the book did, I think it accelerated it by putting it [sabermetrics] out there for everybody. It was gonna happen anyways. Also the parallel with technology helped it take off — access to information was all over the web because it was being gathered. You know, whereas before Bill James was doing it — and he used to print basically these tight little pamphlets – and even some of the stuff that we were originally using was somewhat, not literally, but was somewhat manual, related to how information is gathered today. I think the parallel with technology also helped it take off, because it just gave it access to more people out there who were sort of running their own models as well. So, there was just more and more evidence that there was something to this. Todd Watson: So this question is some red meat for my baseball buddies. Is, in fact, on-base percentage a better metric now for a player’s contribution to advancing scoring than runs batted in (RBI)? And if so, could you talk a little bit about how you arrived at realizing that? Todd Watson: Sure. But it’s a different way of viewing the data, right? Billy Beane: Yeah, I mean for us, simply put, it was what metric or statistic were we going to get the most value for the dollar because we had to be more efficient than the others! Quite frankly, the correlation between on-base percentage and winning was stronger than any other statistic, other than pitchers’ E.R.A. [Earned Run Average], which is almost equal. That being said, pitchers, going back to the earliest part of the century — everyone knows you need pitching to win. Therefore, it was an expensive commodity. At the time, on-base percentage, or guys who got on base, were not being paid at the rate the statistic probably said they should. And there is a very strong correlation…well, like you said, on-base percentage is the one metric that has the strongest correlation with winning games. For us, it was very linear, and it was very easy for us to put all our money in these guys. And, there were players we couldn’t acquire who had skills beyond that, but the fact is those were the Derek Jeters and Ken Griffey Jrs. who did everything. And for us, we focused on one to maximize their ability to hit or walk and get on base. If we did one thing really well, and that one thing had the strongest correlation to winning, we were going to be able to compete. Todd Watson: So why hasn’t somebody really put this together…I mean baseball has a 100-something year history? 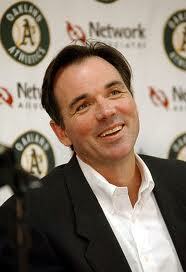 Billy Beane: Like I said, we were borrowers of an idea that had been around for years. Once again, I think it is part of any business culture that there is a traditional way of doing things. One of the beauties of data and statistics is that it’s the one rational way that you can challenge conventional wisdom, and somebody has to be there first to go all in. Michael Lewis: It didn’t crack them up! Todd Watson: Yeah, obviously the repercussions were not good for them. I’m just curious, then, if someone had taken an objective look at all of that data at the time surrounding the collateral debt obligations and some of the sub-prime stuff at the time, would that data have told us something was amiss? Michael Lewis: Oh yes! The Big Short has the story. Michael Burry, the hedge fund manager in San Jose, did just that. But what he did…the subprime story is only partly a story of data, but in part it’s an illustration of data measuring the wrong thing. Because what everybody did was just accept the measurements of the ratings agencies. Their measurement was AAA, and nobody looked at what that meant, or if that meant anything, and this investment manager looks at this pile of supposedly AAA-rated bonds and finds the individual loans and starts to measure them. And he starts to calculate what these loans are, what their loan-to-value ratios are, and the profile of the borrowers and all that, and when he did that, he saw it was a disaster, and not a question of if, but when. So, the funny thing was, Wall Street, the big firms figured out, they could make a lot of money going with misleading information. That for the machine to keep working on Wall Street, they had to keep going with what a lot of them all knew was a false measurement taking place. And they rated things as AAA so they could sell them. Because once you got that point you had a whole group of unthinking buyers who just accepted the stats – kind of in the same way that someone in baseball might used to say, “The guy hits .300, he must be really good.” — without thinking whether or not his hitting .300 leads to runs. So it was a really kind of textbook case of first, people measuring the wrong things, and then, having measured the wrong things, figuring out how to make those things work for them narrowly. But it was a disaster for the system. Todd Watson: So what are the lessons…I mean, we’re here at Information On Demand 2011 just to bring it back home to IBM and our customers. So what’s the lesson in it for our customers who are interested in using Big Data and some of these analytics capabilities effectively in their business? Michael Lewis: It depends on the business. I think the Wall Street story is as illustrative as the Moneyball story…just be very careful what you measure, because the minute you start measuring the wrong thing it becomes a fetish. You sort of like…organizations are sort of like greyhounds at a dog race. You set the mechanical rabbit on a track and go where the rabbit goes. So you gotta be careful where you set the rabbit. So that’s the…there’s nothing you can do beyond where it’s okay to have a culture that you can critique existing standards of measurements and existing value systems. And that’s just a matter of keeping it in an intellectually open place. That’s the big challenge. Bosses don’t like that. It’s just disruptive to the hierarchy to be able to ask the kinds of questions you need to ask to keep yourself heading in the right direction, I think. Moneyball has some of that in it, measuring the wrong thing. The other thing is just how much opportunity there is to measure new things. It’s amazing what happens when markets form around existing metrics. Take the stock market…price/earnings ratios…and forever it’s been sort of where value investors go to figure out if there’s value. It’s a stat that’s been around 60 or 70 years, and it’s pretty good. But is there a better way? There’s nothing wrong with accepting if we’re doing things a certain way. Or asking some of the questions, if we weren’t doing it this way, would we invent some other way to do it, would we find some better way. So I gotta ask you, your last name’s ‘Watson’? Todd Watson: No relation to the computer or to the founder of IBM. In either case, I’d be on a yacht somewhere in the Caribbean. Much laughter. End of interview. 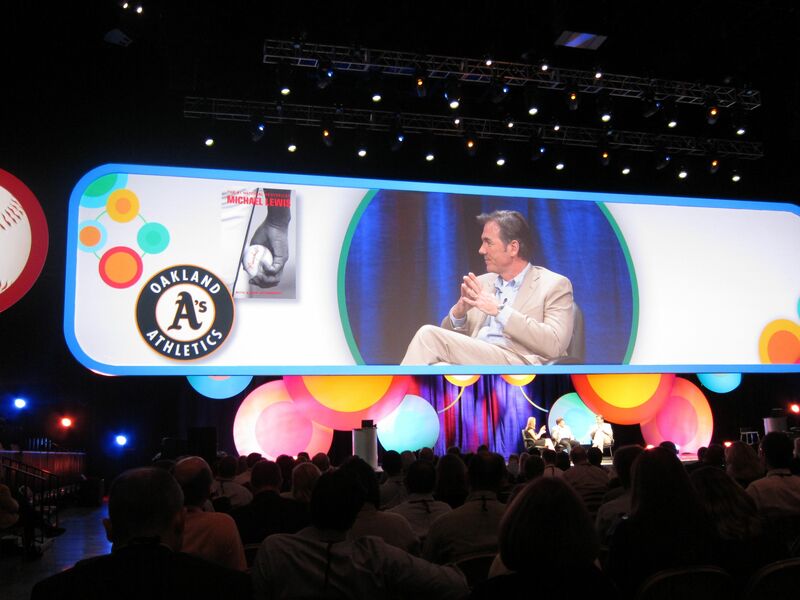 At Information On Demand 2011, day 3, BBC presenter showed up onstage ready to play ball with Moneyball author Michael Lewis and Oakland A’s general manager Billy Beane. 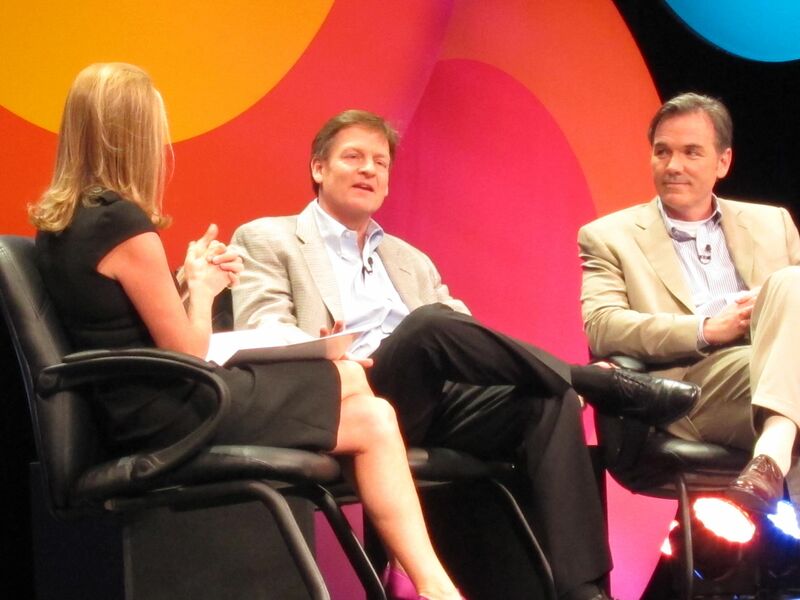 Michael Lewis and Billy Beane talk baseball, arbitrage, and sabremetrics with Katty Cay onstage at Information On Demand 2011 in Las Vegas this morning. Kay first asked Lewis why a book on baseball statistics, and Lewis explained that people are sometimes misvalued by markets, and that what Beane was doing with his team in Oakland in 2001 was a science experiment where “the lab rats [the players] didn’t really know they were lab rats. Lewis went on to tell a hilarious story about first seeing the A’s players walking naked out of the showers, and how what he saw did not seem to be a gathering of muscle-ridden athletes. They were fat, misshaped, and otherwise seemingly disfigured. Lewis says that’s the moment it hit him: Beane’s assembled the misfit toys of baseball, the people who have been discriminated against because of their appearance and who are greatly undervalued when compared to their actual player statistics. So there they were, October 2001, the A’s v. The Yankees, and Billy Beane had some of the best players out there: Jason Giambi, Johnny Damon…but he knew he wasn’t going to be able to hold on to them, so he was going to have to throw the intuition playbook out the window. Oakland A's general manager Billy Beane explains to the Information On Demand audience how data now trumps intuition in that great American of pastimes, baseball. Cay then posed the all important question: How did you come to this way of looking at the data? “You can’t be too stupid to play baseball,” Lewis explained, eliciting great laughter from the audience, and what had to be the most highly-Tweeted quote from the conversation. 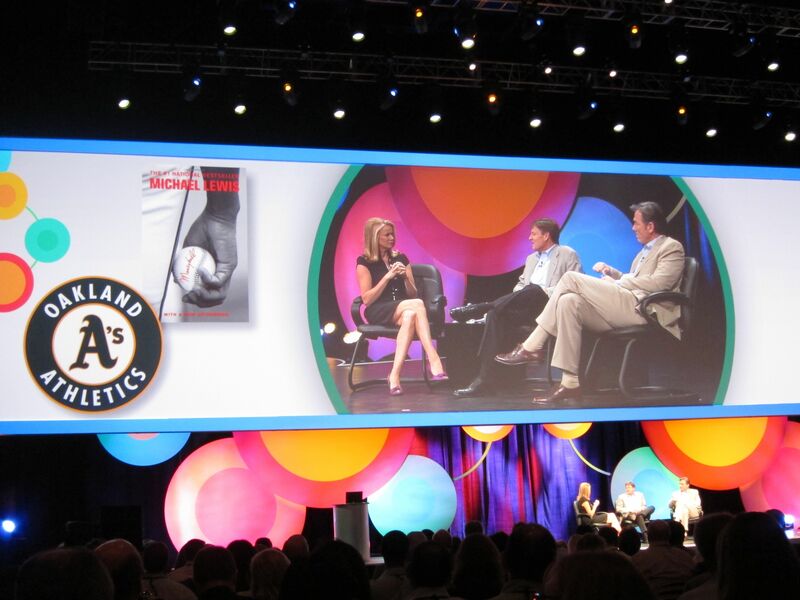 The Information On Demand audience was packed into the Mandalay Bay Events Center to listen to Moneyball author Michael Lewis and Oakland A's general manager Billy Beane. Then, to the heart of the matter in terms of bridging baseball analysis to business purpose: How did you get to the right numbers? asked Katty Cay. Beane: “If you’re following metrics that have no correlation to business success, or in our case, winning games, you’re in trouble. The older the business, the more challenges and the more traditional and conventional thought. “Baseball started in the mid 1800s. For us, it was simply put, out of necessity, if we had a dollar, where were we going to get the most efficiency from it. Bill James really started this whole thing, but he didn’t have a venue by which to test this out. Cay: In the moments, you have moments of tension with the staff re: intuition. Did you waver at all when you looked at the numbers? Cay: Michael, how do you think Billy was able to get away with this? Katty Cay interviews Moneyball author Michael Lewis and his featured subject, Oakland A's Billy Beane, in a fascinating and relevant interview at Information On Demand 2011. Cay: He looked like such a nice guy. Cay: Let’s translate that to the business environment. You have to have the confidence to go with what your’e analyzing with the data. Cay: You described it as a flipping a coin….if you flip it a million times, it will come out well. Cay: Why did you let him write a book about this? Cay: Arbitrage only lasts for a small period? “She comes up afterwards and says, ‘My son doesn’t talk like that.’ And I covered for him.” Lewis explained he went on to have the most awkward dinner with Beane’s mother for the next two hours. Cay: So weren’t you concerned he wrote this blueprint for arbitrage? Huge laughter from the audience. Cay: But they did. And the game changed…baseball changed…so how are they using analytics today in a way they weren’t 10 years ago? Cay: So are we seeing a generational shift in the game?